Natura Education offers an extensive variety of guided high school programs with work booklets and education material that include an environment-themed take home message for the students. 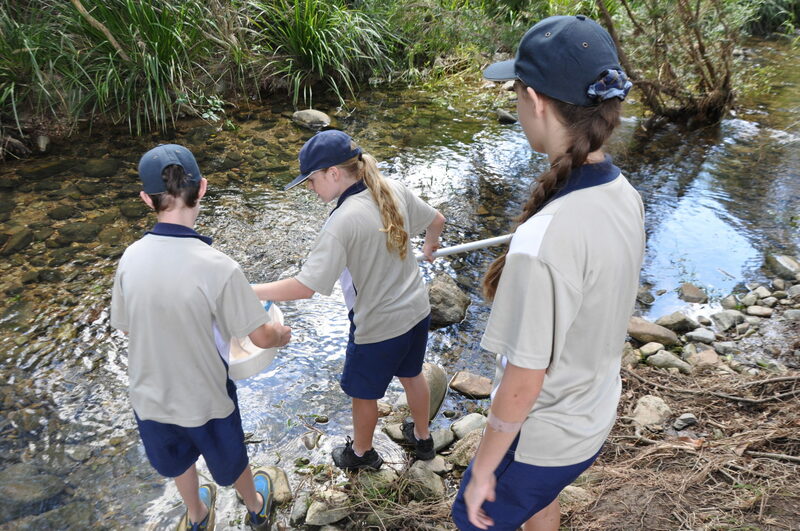 Our high school programs includes an introduction into a specific topic relating to the natural environment and/or personal development for students in years 7 to 12 (QLD and NSW). All our programs have been developed to satisfy C2C (Curriculum to Classroom) requirements. Typically, classes engaging with Natura Education programs include students studying Geography, Social Science, Tourism and Hospitality, Biology, Marine Biology, Chemistry and Indigenous Studies. Together we explore topics such as aboriginal culture, forest ecology, earth sciences, animal biology and conservation, to name a few. Excursion durations can be one half day, one full day or two half-day activities (over one or two days as requested by the teacher and class). These can be run as incursions on the school’s grounds or at a specific destination offered by Natura Education or requested by the school. The type of program can differ according to the theme or learning topic the teacher and class is interested in (e.g. marine ecosystems, mangroves, terrestrial systems etc.). Programs are run during school days at times that are convenient for the teacher and class.